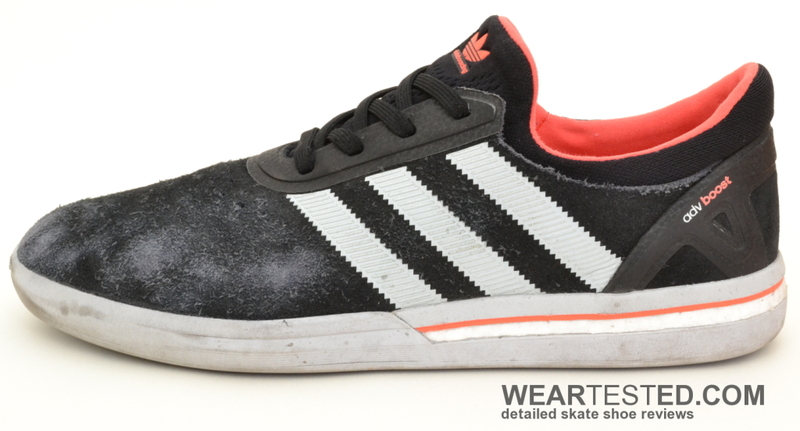 Adidas has a lot of classic designs in their product line that they can go back and adapt for skateboarding. They have done this with the Campus vulc, the Stan Smith, and also the ZX Flux. However, a company that is of the most innovative sports companies needs to be able to prove it with new models that show off those innovative capabilities. With that said, adidas’ own innovation team has developed a new cushioning technology called Boost, with advantages over the regularly used EVA foam. They’ve used it in running shoes, basketball shoes and also football shoes. 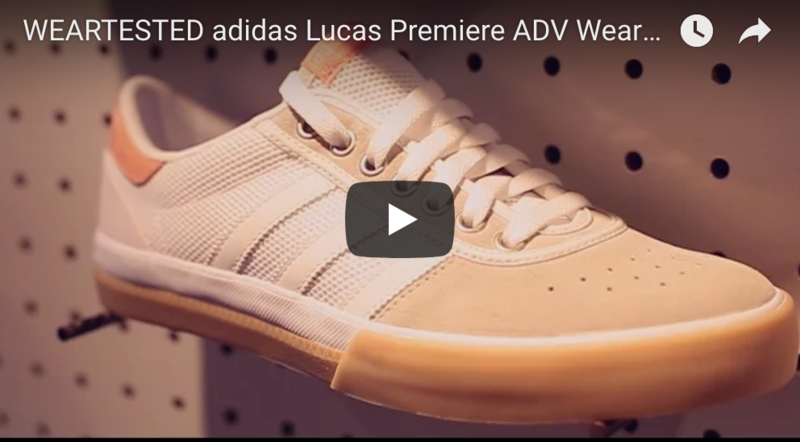 But now, adidas skateboarding has introduced the Boost ADV; the first skate shoe from adidas equipped with the Boost technology, and should provide long-lasting comfort right out-of-the-box. 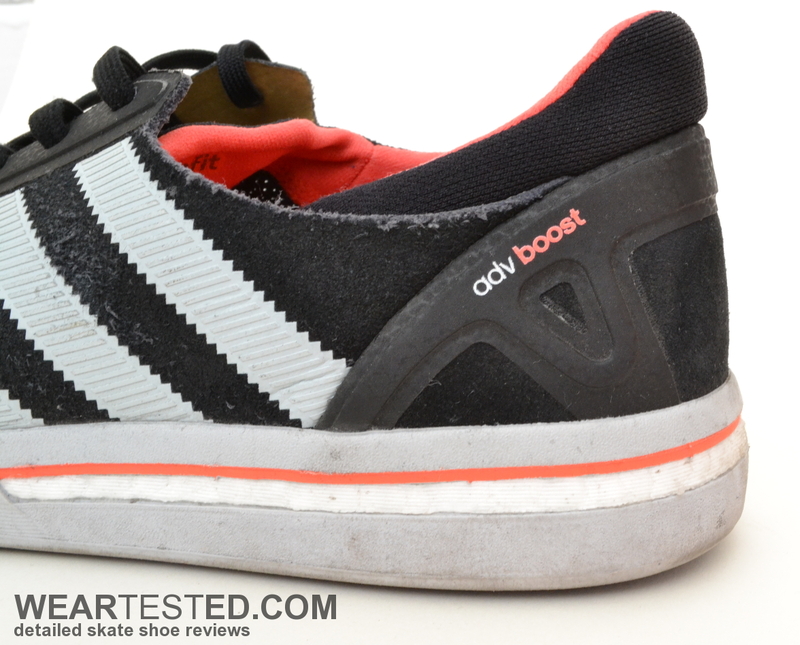 We had the pleasure of testing the adidas Boost ADV; lets find out what the hype is about. The Boost ADV fits true to size. The adidas Boost ADV consists of 2 parts: an inner sock construction and an outer upper. The durability of the model is good due to four main reasons. 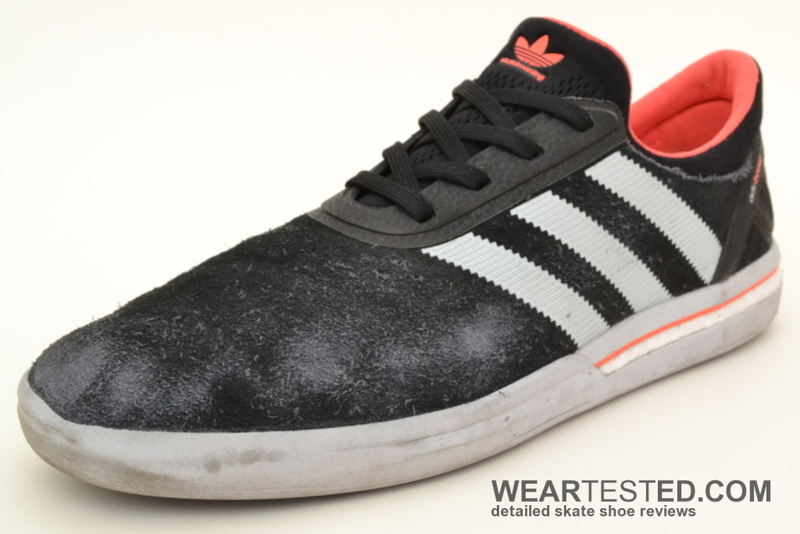 The first reason is adidas’ decision to use a seamless one-piece upper that is safe from griptape contact. Secondly, the material used in the upper is a solid material consisted of a type of suede that left a high quality impression on us. Thirdly, the positioning of the laces was well thought-out. 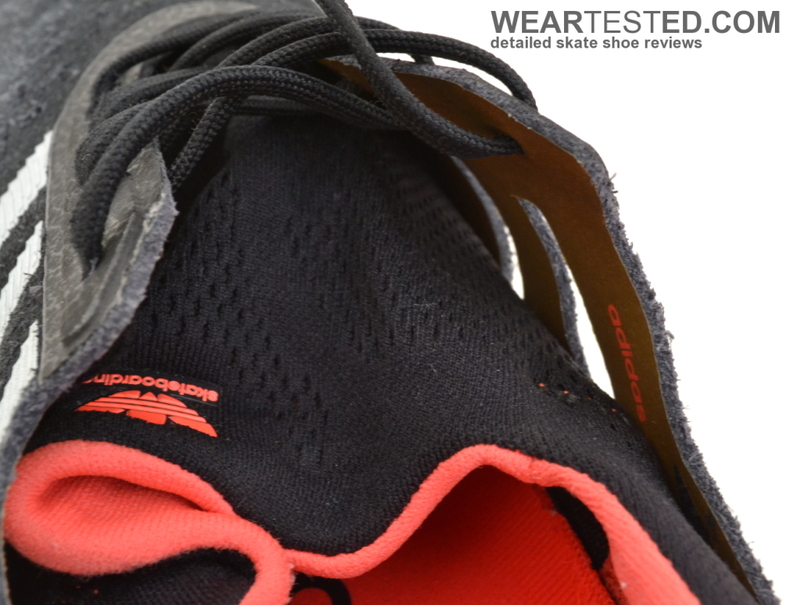 The lacing is quite close together and drawn far back, which effectively protects against griptape contact. The fourth reason was the welded three-stripe logo, which was impossible to tear off unlike the usual stitched-on stripes. The sole also proved to be extremely durable with great grip. The main focus of the Boost ADV lies in its cushioning. The Boost technology consists of thousands of small thermoplastic polyurethane balls which provides better impact absorption and compression rebound compared to traditional EVA foam. The sole is relatively thin in the toecap area; it starts getting thicker in the midfoot area and the heel area is protected with a 1 – 1.2 centimeter thin Boost layer. So the sole gets thicker the further you get to the middle and heel part of the shoe, improving cushioning and creating a comfortable feel for the foot. In addition, the sockliner adds a cushioning effect, too. A weakness of this kind of sole construction however, is the lack of cushioning and impact support in the toe area. Although the Boost technology clearly shows its impact advantages for the heel area, the toe area was far too thin. To sum it up, boardfeel was the victorious over cushioning in this Boost model. The Boost ADV is cut extremely close to your foot. As mentioned before, the shoe is built up in two parts, the outer part is a one piece upper and the inner part is similar to a sock. The inner sock and the slimly shape silhouette ensures a tight and snug fit for the toes in frontfoot as well as for the midfoot and heel area. 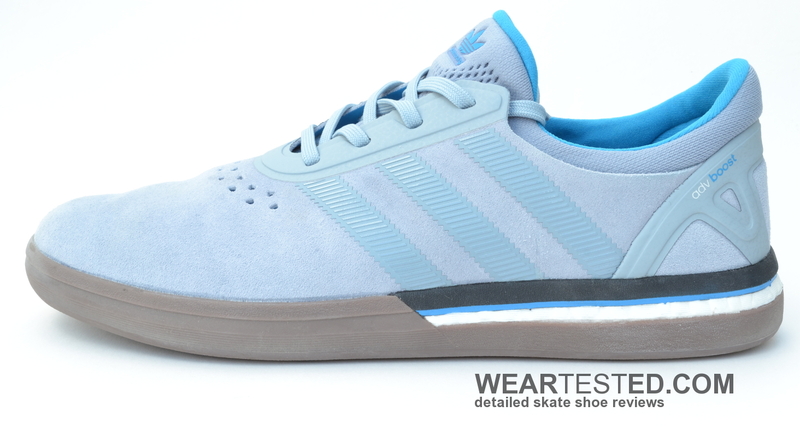 The toe cap area is quite long and pointy, which ensures a great control over your flick for flip tricks. Good or bad boardfeel typically depends on the thickness of the sole around the toe area. As you can see in the sagittal cut, the sole is very thin in the frontal area. But with the incisions in the sole combined, the model features great boardfeel and grip. The thinness of the sole also makes the sole very flexible so it can adapt to the board’s concave extremely well. Grip was very consistent during the whole time of the test, nearly comparable to vulcanized models without being to “gooey”. Adidas put a lot of effort into designing a comfortable shoe with the Boost ADV. The weight of the shoe itself is a very positive element; thanks to the minimalistic design, this shoe feels extremely light. The shoe-in-shoe technology is another feature; there are almost no seams inside and the shoe fits very snug to your feet. Ventilation is another factor that improves comfort in a skate shoe. The Boost ADV features two big ventilation holes in the inner side that ensure maximum breathability in this area. In the toe area, however, hot and moist air is trapped and cannot leave the shoe. Stability is evaluated as average. The shoe fits very close to the feet and basically hugs the feet, which adds to the secure and stable feeling. However, the shoe did not keep its shape so well in the toe area, where waves in the suede appeared. In addition, the whole shoe got too soft within our test period of 10 hours. The adidas Boost ADV is a shoe that uses innovative sole technology to create a great balance between grip and boardfeel and cushioning in the heel area. Mediocre stability and a sole slightly too thin in the toe area are balanced out by its’ great durability and flick.